As you can see, she didn’t actually perform the pose, it is a composite. Despite this, it is still a great cover image. Here is the entire album in video, with an extra one at the end, of her 2012 performance for the Jubilee where, at the age of 64, she hula-hoops whilst performing ‘Slave to the rythm’, extraordinary woman. The album itself is a greatest hits of sorts so there aren’t any bad tracks on it and it is a fabulous introduction to her work. 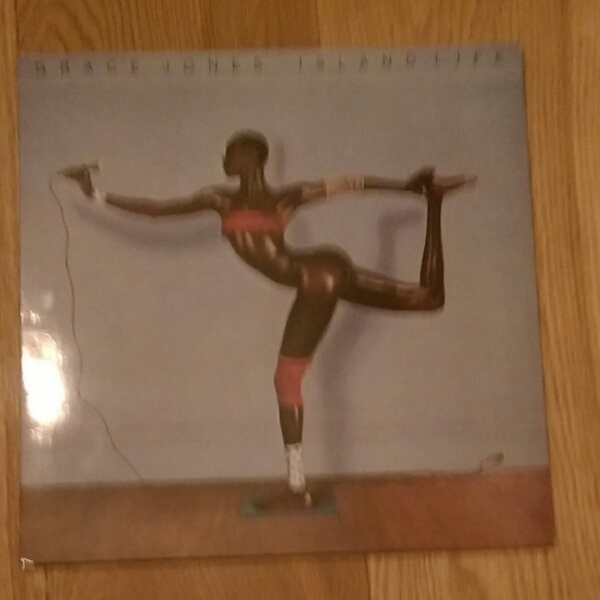 Now I shall probably grab some more Grace on vinyl, as I had ‘Nightclubbing’ at some point in the distant past and feel the need to get it again.